My name is Mike Llewellyn and I am available for hire on a contract basis for iOS application development. I have been creating iOS applications since 2009 and I take great pride in delivering the highest quality applications to my customers. 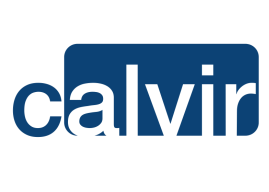 Application development is risky and can be expensive - get it right first time with Calvir. Review some of my previous projects below, and then contact me to discuss your project! Everything you want to know about the new Ford Focus in one intuitive feature-packed App. Localised versions released for UK, Spain, France, Germany, Italy and Russia. Get the best money saving vouchers from nation's #1 voucher code website on the FREE VoucherCodes.co.uk App. #1 Free App on iTunes (Sept 2011). Here's your chance to explore Britain’s real-life 'X-Files'. UFO Files UK exclusively reveals official Ministry of Defence records on UFO sightings - once hidden from public view but now ready to be explored as never before. Includes original declassified documents that are sometimes very amusing! Our FREE Car Park Finder is the easy way to find an NCP car park in the UK. You can then plan your route to it, straight from your iPhone or iPad. It also remembers where you parked your car and you can use our augmented reality function to find your way back to it. Clients and professional advisers of Quilter are able to view portfolio valuations, asset allocations and cash statements across their portfolios. There’s more to do in Bedfordshire than you think! Find activities, clubs, societies and organisations in and around Bedfordshire and DO SOMETHING! Retrospectively rubberneck on London’s least celebrated tales - ones that some might hope were best forgotten. With augmented reality at each site and no skimping on important detail, the effect can be alarmingly vivid. Bet for fun, bet for free, bet with friends — Friend Bet. Make a bet, ANY bet you can think of, and share it with friends. Oliver Sweeney has made it possible for you to create your own shoe. From the style and shape, through the choice of exotic and plain leather uppers, to the finer details of linings, laces and piping, our Custom Made service offers a wealth of opportunity to let your creativity run riot. Mike is a delight to work with. Always able to provide solutions, innovation and creativity! Never a stumbling block! I had an excellent service and Mikes response time is lightning quick! I would love to work with Mike again and I'm sure I will. © Calvir Ltd. 2017. All rights reserved.